Boot tops. Mens low boot tops includes one pair of boot tops. One size. Easily transform your shoes into boots. 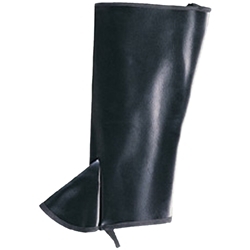 Faux Leather boot covers with elastic straps that fit under your shoes for a secure fit. Available in black or brown. Boot tops measure 16" tall.